You’re listening to ReachMD, and this is Lipid Luminations, sponsored by the National Lipid Association. I’m your host, Dr. Alan Brown, and with me today is Barbara Wiggins, Pharm.D, clinical pharmacy specialist in cardiology at the Medical University of South Carolina. She is an adjunct professor at South Carolina College of Pharmacy and Dr. Wiggins has also served as a member of the Cardiovascular Expert Panel for the United States Pharmacopeia. Today, we’re going to be discussing lipid lowering drug interactions and cardiovascular agents. We’re broadcasting live today from the National Lipid Association in New Orleans, and I know that Dr. Wiggins is about to present some of this information, but I’m thrilled to be able to scoop you a little bit before you give your presentation. So, I know that your area of interest is drug interactions with statins and your paper is related to statins and gemfibrozil, something that we found out by accident was probably a mistake to mix. So, you want to tell us a little bit about your study and what you’re going to talk about today? Well, I think the issue really with gemfibrozil is, in today’s healthcare environment, oftentimes we are very restricted with medications because of either a patient tolerability or, perhaps, a patient doesn’t have good medical coverage for medications where you’re somewhat limited in your choices with what you can use. And, unfortunately, those patients will have hypertriglyceridemia, they will have complex lipid abnormalities that really require one to combine a statin with a medication to lower triglycerides. And gemfibrozil is relatively inexpensive compared to several other options out there, and so one of the reasons, and the big basis for this paper that we wrote, was to really highlight the pharmacokinetic data regarding those drug interactions. And the reason for doing it really was to see if, potentially, is there an opportunity, if needed, to combine the two, based on the literature? Because once you look at the labelling, in most cases, the labelling will tell you not to combine them or that they’re contraindicated. However, if you dig deep enough and look into a lot of PK data, pharmacokinetic data, you’ll find that some statins actually probably can be utilized in combination with gemfibrozil if you’re conservative on your dosing. And so, there may be clinical situations that prompt us to have to do that; not optimal, but it may happen and so, in order to be able to provide guidance really in the setting when someone may have to be on the combination of those. So that’s very interesting. I’m old enough to remember some trials that actually looked at combination therapy in the pharmacokinetics; I believe there was one with fluvastatin, and I can’t recall whether pravastatin also did one, suggesting they were a little bit safer. But, the sort of elephant in the room is when you look at outcome data. We’ve got probably better outcome data with gemfibrozil than we do with fenofibrate, which is sort of the more commonly used drug. So most of us in lipidology say you should never use gemfibrozil with statins because of the risk of myositis. So I’m looking forward to hearing what your data, regarding what particular statins are safer and, if so, how much safer, because it only takes one rhabdo to ruin the patient’s kidneys and to ruin your career. No, it absolutely does, you’re right. So tell us a little bit about what you’ve found in your study. Well, what we found was there’s different tiers of interactions, and one of the ways that we evaluate and assess interactions is by a pharmacokinetic parameter that we call “area under the curve,” which really reflects total body exposure of a drug. And in defining that, a minor interaction is anywhere between usually less than twofold increase in AUC, and what we found was, based on pharmacokinetic data out there, rosuvastatin, for example, and atorvastatin as well have relatively minor impact on the pharmacokinetics of those drugs. Gemfibrozil has a relatively minimal interaction with those drugs, and if you limit your dose, potentially, you could use them in combination. That being said, if you look at even the labelling for rosuvastatin, for example, it doesn’t advocate using them in combination, however, it says if you need to, to limit your dose. So there obviously is some information out there in the literature that suggests that perhaps, if absolutely needed, you can do it, and I think that that’s demonstrated with the pharmacokinetic data that we evaluated. So, how would you take the fact that you’re able to show not a big bump in area under the curve when you combine the drugs? What’s the next step in terms of making a physician feel reasonably comfortable? And I guess, when would you choose gemfibrozil over fenofibrate? I’d be curious as to—and I know this is purely speculative, but if you can envision a clinical scenario where you could say, “Here’s a patient where you might want to use it, and here’s what we would recommend if you chose gemfibrozil,” what kind of dosing and what drugs? Right. Well, I think with regard to gemfibrozil, it comes down to relatively a cost issue, a lot of times. Most other medications that are available for hypertriglyceridemia are relatively expensive. I know in our area, gemfibrozil is around $4 a month, so that’s one big driver, and so, to pick a medication that’s relatively inexpensive. The other situation is if a patient can’t tolerate another option, they can’t tolerate a fenofibrate, they’re not able for whatever reason, and that’s another option. Worsening renal function or something. It could be anything, and gemfibrozil is the one that you ultimately end up having to choose. And so, being able to do that safely, you know based on what the literature supports, being able to do that as safely as we can see or envision is where we do it, and we have done it in clinical practice. I mean, there certainly are patients that require them and unfortunately, again, as I said it’s not optimal, but you’re trying to do what you can best for the patient. Well, in reality, again, I am old enough to remember when we used to, with reckless abandon, use gemfibrozil and statins and knock on wood, after 31 years running a lipid clinic I don’t recall any patient getting rhabdo on gemfibrozil and a statin. I had some rhabdos, but it was usually with macrolide antibiotics mixed with statins. So it’s very interesting and one doesn’t want to quote their experience, but have you thought about going back and looking—and you may have done this since I haven’t heard your paper yet—but have you thought about going back and looking at the actual incidence of acute rhabdomyolysis in patients who were taking atorvastatin and rosuvastatin and gemfibrozil as compared to those on other statins? Is that something you’ve thought about? Because that data is probably available. It is something that we have certainly looked at, and clearly the pharmacokinetic studies that have been done haven’t shown any issues, so we have a little bit, but it’s limited because, obviously, as you mentioned, there has been a kind of a scare, if you will, that’s been inherent with gemfibrozil and statins used in combination, and the recommendation is that you don’t do it. Well, so I was thinking more of a clinical trial, right? Because a pharmacokinetic study would be a relatively small number of patients. But let’s say you went back to 4S or you went back to some of the big private trials and we got a lot of trial data from atorvastatin and now we’ve got JUPITER, though nobody probably was on gemfibrozil in JUPITER. Well unfortunately, a lot of the big clinical trials that was one of the exclusion criteria. So, not combined enough, really, for us to draw from that. If you’re just tuning in, you’re listening to ReachMD. I’m Dr. Alan Brown, I’m speaking with Barbara Wiggins, Pharm.D and clinical pharmacy specialist in cardiology at the Medical University of South Carolina. So, this is a very fascinating topic, and I think drug interactions have become more acute to us after even drugs like simvastatin suddenly came out with recommendations to avoid amlodipine and other things that were so commonly used in clinical practice, to the point where a lot of people just stopped using simvastatin because they couldn’t remember what to do. 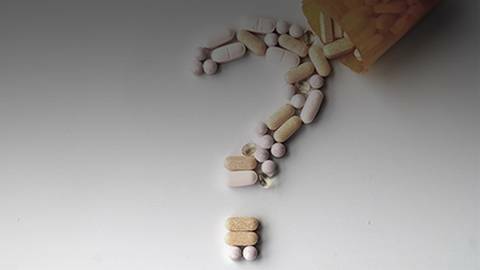 Any thoughts on how the clinician should approach drug interactions, particularly statin and other drug interactions, and any words of wisdom since this is your area of expertise? You know, I think the biggest challenge that faces us today is we’ve moved to this electronic process of prescribing and entering orders and I think the biggest problem that we have is alert fatigue and having every little interaction popping up and not really being able to discern, well, is this clinically relevant or is this where I really need to exercise caution? So, going back and looking at, again, area under the curve as I spoke of previously, if you have information that will indicate to you that this is a fourfold increase in AUC with these 2 drugs combined, then that kind of raises that yellow flag and says, “Okay, this is at least moderate. It may not be a severe, but it’s definitely moderate. What can I do? What are the drugs that I really need to prescribe for this patient and where is the decision to rely from that standpoint?” So, utilizing the AUC cut points I think, that are demonstrated in the literature, is one really good way to be able to help drive some of those decisions with regard to teasing out all the drug interactions. Yeah, that certainly sounds like it would be very helpful. I must say, I’m not sure I see those alerts that tell you about what increase in AUC, it’s an all or none phenomenon, which I think you’re alluding to. For example, if someone is on heparin and they’ve got coronary disease and you order aspirin and the alert comes up and you just say, “Ignore it, benefit outweighs the risk.” But I think it would be helpful to get an idea of this, you have to weigh the risk versus benefit, but here’s the data of the interaction with these 2 medications, rather than just there is an interaction. That would be difficult; it’s one of the problems with electronic decision support. Any thoughts on how we might be able to accomplish that? Well, I think they’re getting better. I think you also have the opportunity to be able to request certain changes within your drug database and, unfortunately, we don’t have data available for every drug out there. As you know, it would be extremely laborious to go out and test every single drug, and a lot of them are lumped together, and I think that’s where a lot of the problems also arise, is that they kind of just say, “Okay, well this one’s metabolized by this so we’re going to group it all together.” And it’s a problem where the reality of it is it may not be as significant. So, one of the things to do is, some of the databases that are available actually show a little bit more verbiage about the degree of the interaction and how severe it is and whether or not it’s contraindicated, and so that helps at least say, “Okay, this tells me I should not be doing this, at least.” Now, where the gray area is, is in the moderate kind of area, that’s probably the biggest section that we have the most difficulty with. So, just as a final thought because, unfortunately, we’re running out of time, I wonder what you think the future might be. Some of the interactions that we hear so much about and we get so nervous about, mainly because of liability and trying to make a case for benefit versus risk, were gleaned from retrospective reviews of clinical trials where they saw a couple cases here and there and they said, “Oh, we’ve got to add a contraindication.” We don’t even really know what the incidence of those drug interactions causing serious bad outcomes are. Any idea how to deal with that issue when you see a signal retrospectively from a clinical trial? Is there any hope that we might actually do something prospective, or do we just wash our hands and say we’re not going to use those 2 drugs together? Well, I think we’ve been kind of burned by looking at some of that stuff from clinical trials in the past, and one example I can think of is atorvastatin and clopidogrel. One prime example where we thought there was a big significant issue, but clinically it didn’t really mean anything. And I think it really comes down to, in some regards, to the companies who are developing these drugs and clinicians and researchers as well, to try to further evaluate and to do more pharmacokinetic studies and specific drug interaction studies to be able to provide more information in the literature so that we have more well-informed decisions that can be made because of what we have available, rather than using a lot of extrapolation from different drugs that are metabolized similarly. But again, there might be nuances within their metabolism that may allow us to use one versus another, and we just don’t know. So if I want to play the Devil’s advocate, let’s talk about proton pump inhibitors and clopidogrel. So there was one where, pharmacokinetically, it would look like there is an interaction and clinically, just no evidence that made any difference, clinically. Any thoughts on that? I’m not picking on you, I’m just curious. No, not at all. In fact, I squelch it all the time. 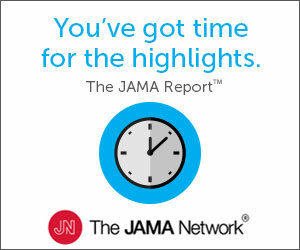 I use omeprazole all the time and it’s a surrogate marker that they utilize; they use platelet aggregation studies and that was not, unfortunately, it didn’t pan out from a clinical perspective and once it was brought to the attention and we saw that -- we should have known very early on with the widespread usage of clopidogrel, that if there had been a problem it would have been probably alarmed much sooner than when the studies actually came out saying that there might be an issue. But nevertheless, the package labelling still tells you to avoid the combination, but clinically, it’s not there. Yeah, so I think you’re making a case for using a combination approach, to have a pharmacokinetic approach and then see how that correlates with the clinical data that we do have available, and then try to make a decision that’s best for your patient. Thank you much. I wish I could spend more time with you. Unfortunately, we are out of time and I’m looking forward to getting done with the interview so I can go hear your presentation. But I think your presentation on, particularly, gemfibrozil and statins that may not be as simple as we think it is will go a long way to get us to think a little bit more about how we handle these drug interaction issues. And I’m Dr. Alan Brown. You’ve been listening to Lipid Luminations, sponsored by the National Lipid Association on ReachMD. Please visit ReachMD.com/lipids where you can listen to this and several other podcasts in this series. Please make sure to leave your comments and share when you do review the podcasts, and we certainly welcome your feedback. Once again, I’m your host, Dr. Alan Brown. Thank you very much for listening. Joining Dr. Alan Brown to discuss the pharmacokinetic data behind drug interactions between treatments for complex lipid abnormalities is Dr. Barbara Wiggins, Pharm.D, clinical pharmacy specialist in cardiology at the Medical University of South Carolina and adjunct professor at the South Carolina School of Pharmacy. Dr. Wiggens has served as a member of the cardiovascular expert panel for the United States Pharmacopoeia.